Arriving in Paris, a sunny bright day to start to our France wine adventure! But the joys and secrets of Paris will have to wait, as we take off to the village of Beaune for wine tasting, a special appointment with the Louis Jadot winery awaits! 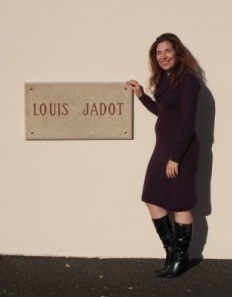 Upon arriving at the Maison Louis Jadot winery, we were pleasantly surprised to have a tour provided by both the winemaker, Jacques Lardière, and Nicolas Duvé, export sales manager. In the process of expanding their facility, the winery is a large, sparkling clean building with a unique wine press that sits in the centre of the building. 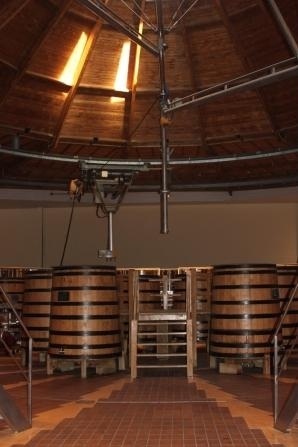 In effect, it is similar to a train wheel house, but for transferring wine into the fermentation tanks that surround it. The vineyards in the region are days away from harvesting, so the Jadot team have one eye on the sky and one eye on the grapes, praying against rain. Luckily for them we brought sunshine with us! One of their vineyards had already suffered hail and had to be harvested about a week early, so that brings the challenge for the winemaker in the winery. We were then whisked below to the cellar to experience a fantastic horizontal tasting, which was sampling from the barrels a wide range of white and red wines. While we can all buy a bottle of wine and give our opinion, it is always a special treat to hear the opinions and outlooks of the winemaker. Wines of this Maison, as a large producer, range all over the Burgundy map, literally. We were able to sample wines from various small parcels in the region including Gevery Chambertin, Chassagne Montrachet, Nuits Saint Georges, Clos Vougeot, Mersault, Pommard, among many others. The wines of Burgundy are almost all made of either the Pinot Noir grape for reds or Chadonnay for white wines. The expression of the same grape from different vineyards could take a lifetime to know well, and is described by the famous word “Terroir”, which loosely translates to “earth”. And so we started with Jadot to understand what all the Terroir talk is about, more to come! Well our bags are packed and the excitement is building for our 10 day tour of French wine country. I am Elizabeth, the Product Logistics coordinator, and Sandra, our Cava Wines Store Manager, are off to meet our fearless leader, Cam Rizos, in France. Our tour plan includes some time in Paris, a jaunt to Beaune in the Burgundy wine region to sample world class wines, and several days in the south of France, visiting both Marrenon and Laurus wineries and sampling the joys of food and wine France has to offer! We hope to not only be better educated about the intricacies of the wine import/export business, but also to bring back stories about the wine and the winemakers to share with the rest of the Cava Wines team, and our customers. 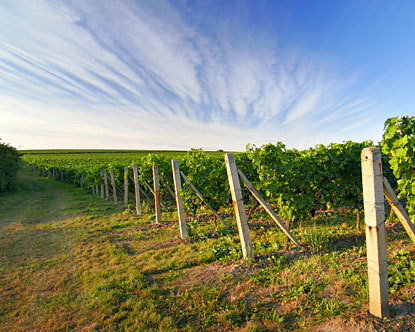 We are excited about the partnerships we are building with growers overseas to bring quality product to avid wine consumers in Saskatoon. Talk to you next from Paris!